Christmas and the New Year are approaching and many of Geona City's citizens are in deep crisis. Nikki and Neil are both fighting the temptation to drink. Faith has gone missing due to her father's stupidity and Michael is facing cancer. As usual, the town is rife with secrets and lies. Take Dr Stitch'em-Up, for instance. He wants to start fresh with Princess Victoria Newman, but he won't tell her about his little tryst with Ashley Abbott. Of course, we all know what that means. Victoria will eventually discover the truth and suffer more heartbreak. There are more secrets and lies too. Queen Nikki is hiding her drinking from her family and King Victor is spying on Jabot. Hillary is cheating on Neil . . . and the beat goes on! Adam had multiple surgeries to make him resemble the dear, departed Gabriel. Did he also have surgery to give him a new voice? OOOPS! We're not supposed to mention that. If friends and family recognized his voice, they'd know his identity. If Chelsea recognized him, the storyline would be ruined. I keep telling myself that soaps are not supposed to be logical and realistic. Still, it's fun to point out all the unrealistic situations and the flaws in the plots. Here's another one. Can anyone tell me how Adam was able to enter the Abbott home and Chelsea's penthouse? Are we to believe he had keys to both places? Woops! I have some sympathy for Adam because he never meant to harm Delia. He didn't intentionally kill her. It was an accident. Yet everyone is treating him as if he were a cold-blooded murderer. It's really driving him crazy to see Chelsea with Billy. I don't think he'll be able to hold back much longer. He's already revealed himself to Jack. Jack won't tell Billy just yet because he doesn't want to interfere with Billy's attempts to put his life back together. However, there will come a time when all of Genoa City will know the truth. Sharon is in danger of losing custody of her daughter Faith. Now Phyllis has made sure she has lost her job at Jabot too. Nick Newman swears that he is not trying to get even with her. He's about as believable as he was when he declared over and over that no secret would change his feelings about Sharon or destroy their relationship. The man won't listen to reason. Noah and Mariah have told him how wrong his is to provoke a nasty custody battle over Faith, especially at Christmastime, but he refuses to listen. He continues to be a jerk. As they said of the Grinch, your're a mean man, Mr. Newman! Faith is missing due to Nick's childish behaviour, but never fear fans! According to an Internet spoiler, Adam will locate the missing child and return her to her parents - just in time for Christmas. You didn't think Clueless police chief Paul Williams would be able to find her, did you? Speaking of the Clueless One, I have to say he really made a pretty good Santa Claus. He`s also going to be a daddy as Christine (aka the Cricketmeister) is going to have a baby. However, I expect that there will be some complications in that storyline. By the way, I enjoy watching Cricket`s facial expressions whenever Nikki is around. She attempts to be cordial to Nikki, but inside she wishes that Paul`s old flame would stay out of their lives. As for Clueless, he doesn`t help matters. He`s always running to Nikki`s assistance and now he and Nikki are planning to co-host an engagement party for Dylan and Avery. Cricket is just thrilled about that! Our astute observer, Patsy from Sarasota, Florida, has written me with some of her observations. She notices everything! Where the heck is Sharon's kitchen in her house? In the past few weeks I have seen several people go to a door to the left of the front door. How can a kitchen be there? Didn't Dylan renovate her kitchen and he came out from beside the staircase? What up with that house layout? Talking about architectural details of house, we've all noticed that Young and Restless is using outdoor shots of downtown and cast homes. The exterior of Victoria's house does not match the interior front door pictures. It shows a trellis to the side of the door. Such details!! Jack's exterior home shot also does not match his front door. Just saying. Rosie from Richmond Hill, Ontario isn't convinced that Adam was the one who ran down Delia. She thinks Kelly may have done the deed. I think that may be a possibility because there is much we still don't know about Dr. Stitch's sister. She was pretty torn up about losing her own son, Sam, and she may have lost it. 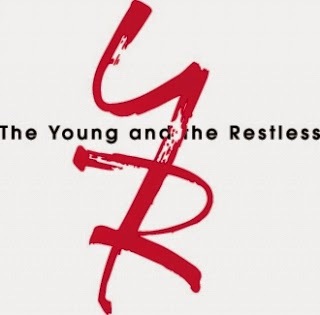 Y&R has sent out a casting call for a 20-something male named "Matt Wilkins." "Matt" may be a cover for the character of Kyle Abbott. I wouldn't be surprised at all if that turns out to be the case. Now that it has been determined that Kyle and Supergirl Summer are not brother and sister, I expect Kyle to return from New York. Oh yes, and I wouldn't be surprised if he still hasn't gotten over the Supergirl. There will likely be a new Kyle in the New Year. Melody Thomas Scott (Nikki Newman) has been ill due to a reaction to some medication. On Sunday, December 7, I attended a Young and Restless high tea and auction at Toronto's Westin Harbour Castle Hotel. The annual event is in support of the March of Dimes, a very worthy charity. It is sponsored by Global TV and the driving force behind it is Kate Linder, Genoa City's favourite maid, Esther Valentine. Leslie Roberts of Global News hosted and other Y&R stars in attendance were Sean Carrigan (Dr. Stitch), Bryton James (Devon Hamilton) and Mishael Morgan (Hilary Curtis). There was a silent auction to raise money for March of Dimes. In addition, some of the clothing worn by Y&R actors on the show was auctioned off. There was a shirt worn by Dr. Stitch, the dress worn by Esther at Mrs. Chancellor`s funeral, sweaters worn by Devon Hamilton and Nick Newman, and a dress worn by Hilary. A trip to Los Angeles to visit the set of Y&R was also auctioned off. Kate Linder is warm and wonderful. She does so much to support the March of Dimes. She said her character, Esther, was only scheduled to make one appearance on Y&R. She was referred to as `the maid`in the script. Viewers responded well to her and she remained on the show. She was given the name "Esther" and then fans chose the name "Valentine" as her last name. Kate strongly emphasized that if you have any comments and suggestions about the show you should go the CBS website. She said the powers that be listen to the fans and she encouraged people to write in with their opinions. Sean Carrigan was constantly joking around, so I was not surprised to learn that he is a stand-up comedian (He's also a former professional boxer). I also got the impression that, like his Dr. Stitch character, Sean is a ladies' man. Mishael Morgan, I discovered, is Canadian. Although born in Trinidad, she was raised in Mississauga, Ontario and attended York University in Toronto. Mishael was able to come home for the event and her husband was in attendance. During the autograph session, I spoke briefly with Kate, Bryton and Mishael. I asked Mishael why Tyler and Leslie have not appeared on the show regularly for quite a while. She replied that their status is still unclear. A decision has not been made yet about them. Then I talked to Bryton about the possibility that Neil would regain his sight without HIlary and Devon knowing and catch them together. He said that that could still happen. He also revealed to me that there is going to be an upheaval in the Winters family in the New Year. That's all for now. It's always fun to watch Y&R during the holiday season. A very Merry Christmas to my readers and I hope you have a happy and healthy New Year. The next edition of Y&R Report will appear in this space on Saturday, January 3, 2015. See you next year.